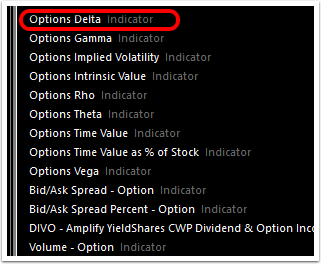 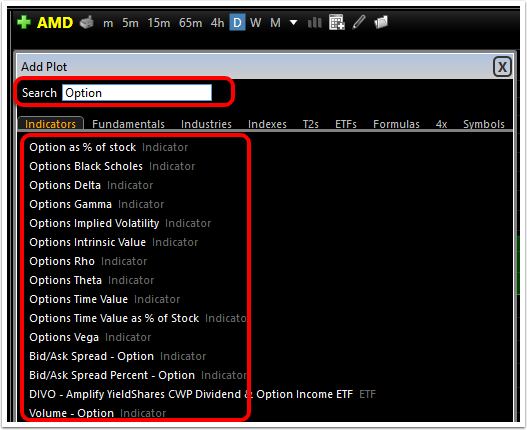 You can now plot many indicators based on the option price history using the Last, Ask, Mid or Bid* data points. 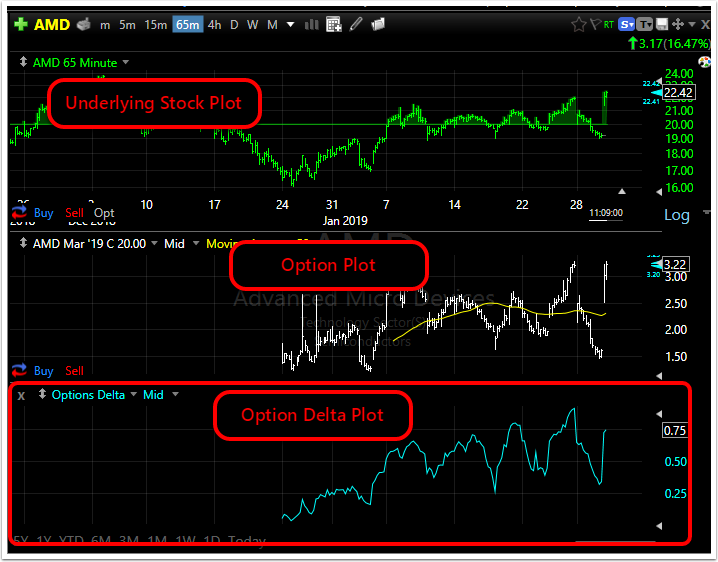 In this example we will choose Option Delta (but any other options-related plot can be used). 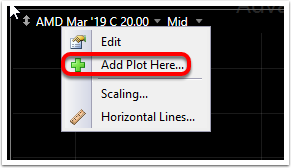 Click the data point drop down and choose the data point on which the delta plot is to be based. 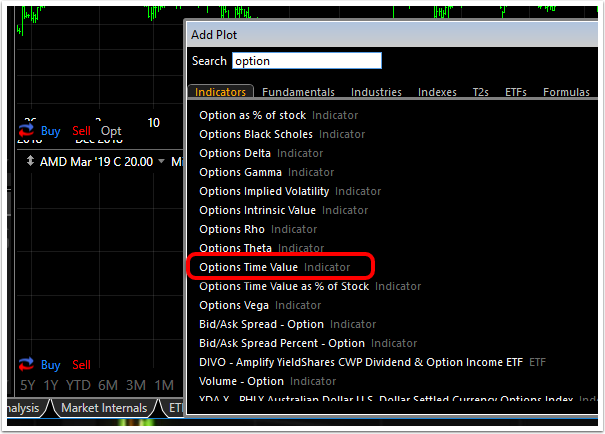 If you want the indicator plotted on the option price history, click the option label in the legend of the pane. 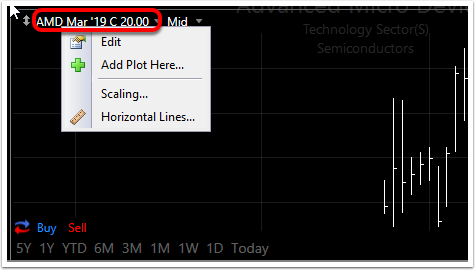 Click the data point drop down and choose the data point on which the time value plot is to be based.